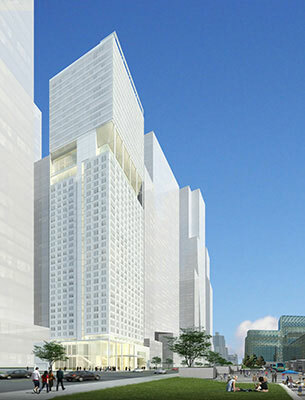 Known for its ability to find properties with great potential, Extell asked Helpern Architects to do the conceptual design for a mixed-use tower – hotel at the base, rental apartments above – to be built on an exceptional site the company held directly opposite the Jacob Javits Convention Center, at the northern edge of the Hudson Yards development area. 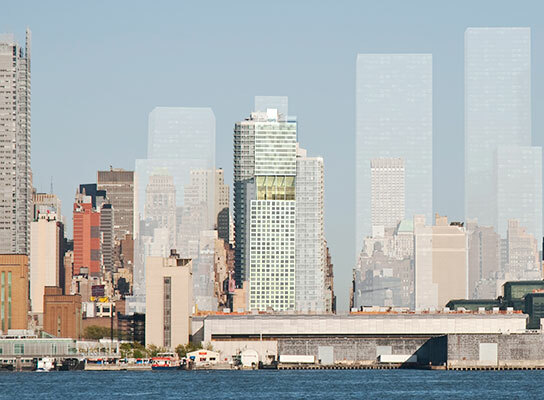 Using preliminary planning studies from Extell’s in-house team, we both created the building’s image and demonstrated that they could develop a 41-story building. Features would include a façade of patterned and clear glass; two street-level, double-height lobbies; a restaurant; hotel conference center; and amenity spaces at the street, 29th level, and roof. 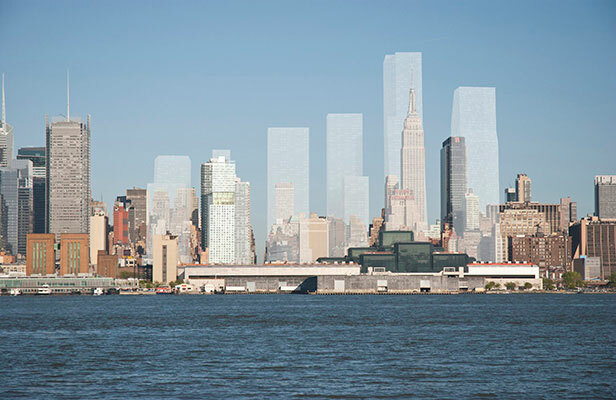 The overall height would be 521 feet, including several discrete mechanical levels. 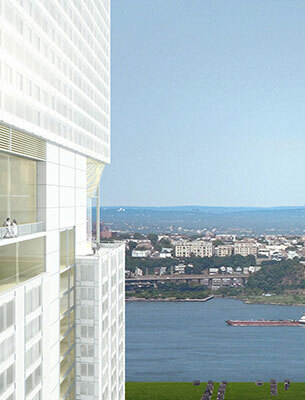 The 546-key hotel would occupy the first 26 floors, and the 77 one-to-three bedroom residences, the 11 floors above.